Exceptional Arkansas blue phantoms/blue inclusions sparkle in this quartz cluster with two mere points of attachment. It has crystals all the way around: a true burr and extremely rare thus. At 4x 4 1/4x 4 3/4", it self displays. 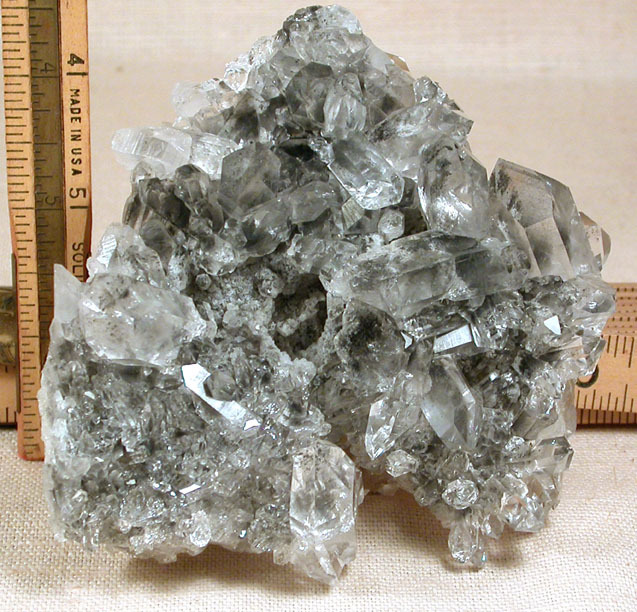 Individual crystals to a penetrated, doubly-terminated 1 3/4". Super clear and bright.